This last Saturday 18th April my mother Vivienne attended & spoke at a demonstration in opposition to the TTIP (Transatlantic Trade & Investment Pact) deal that the multinational corporations of the world are trying to introduce globally, citing ‘Free Trade’ as the ‘excuse’ for their actions. Not many people have heard about this issue. Try asking anybody if they have heard about TTIP & what does it mean & you will on the whole hear that they do not have a clue about it. This is not an accident. The deal is being conducted in as much secrecy as possible & with good reason. If people knew what it meant they would also oppose it. Any right thinking person would (& here I do not include the multinational companies or their motives). The best way to describe the failings & dangers of the TTIP is to tell the story of El Salvador. 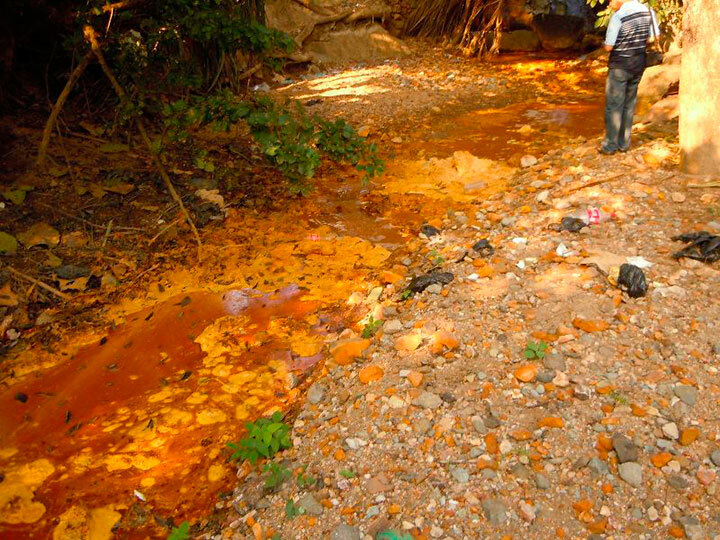 At the present time 90% of the fresh drinking water in El Salvador is polluted & undrinkable. The reason for this is that the water & rivers have been polluted by heavy metals & poisons such as arsenic & cyanide & this is all due to the mining activities in the country. Originally the licences to mine were granted to an Australian/Canadian mining company called Oceana Gold/Pacific Rim which wanted to mine for gold. This company made no attempt to limit their pollution or use of the countries’ water so a backlash by the general population built up. Activists were threatened & in some case murdered (the usual) but the necessity of having clean water to drink is not something that can be ignored by anyone & so the movement gained ground & in 2008 the president decided that no new licences would be issued to mine. This is where the TTIP ‘deal’ comes in. Under its regulations a company can sue a country for ‘potential loss of earnings’. That sounds absurd, but it’s true: The company is claiming that under the Central American Free Trade Agreement, it has the right to sue the Salvadoran government for passing a law that threatens its bottom line. El Salvador is now defending its decision to prevent OceanaGold/Pacific Rim from operating the El Dorado mine near the Lempa River before the International Center for Settlement of Investment Disputes, a little-known World Bank–based tribunal. To compound insult to injury the remaining fresh water sources have been appropriated by the bottled drinks industry. SABMiller, (a British drinks company) the world’s second-largest brewer is there, a Mexican juice multinational has also moved in, as has a large bottled water company. Residents of Nejapa municipality who live next door to the factories & warehouses used by these foreign corporations have to struggle each day to find enough clean water to drink. ‘Free Trade’ agreements are only there to help the wealthy. Their aim is to change laws to suit themselves at literally the expense of the rest of the planet & its peoples. Do not let this TTIP deal be signed & implemented here in the UK. It is tantamount to signing away democracy in order to live in the feudal system of the medieval times again. This time around the only difference is that we will be pledging allegiance to a corporation instead of the local Lord or Baron. This entry was posted in Climate, Vivienne and tagged worldsendshop by Ben Westwood. Bookmark the permalink. Thanks for getting this information out, Ben. I live in the US, and we don’t hear anything about TTIP because the media does not report on it. I am very concerned about what is going on, and it does affect us all no matter where we live in the world. I am so glad that you and your mother are trying to educate people about what the government is secretly doing. Thank you for mentioning about the issue. In Japan we call it TPP which is basically the same trade deal. In 2011 wiki leaks disclosed this . We must be aware of that it will not pass behind the curtain . Fascinating post with frightening connotations for the world … How can we find out when/where Vivienne is speaking on the subject?